As the CEO of Orange Silicon Valley (OSV) in San Francisco, California, Georges Nahon is driving a multi-disciplinary team of experts consisting of computer scientists, engineers, sociologists, economists and designers in constant interaction with the local Silicon Valley ecosystem. Georges has worked in other positions at the headquarters of Orange in Paris, at Microsoft’s European headquarters in Paris, and at French online media. He is the co-author of the book The Second Life of Networks with Didier Lombard, former CEO of France Telecom-Orange. He is also the founder and the President of the Orange Institute, created in September 2009. Furthermore, Georges spearheaded the conception and development of Orange’s award winning accelerator: Orange Fab. He holds a Master in Computer Science and Engineering from the Polytechnic Institute in Nancy, as well as several patents. 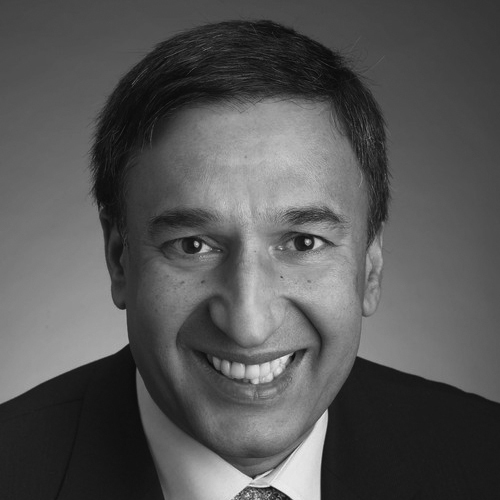 Shanker is currently Senior Vice President of Enterprise Business, for NVIDIA Worldwide Field Operations. He has led worldwide sales and business development for NVIDIA’s Datacenter and Professional Visualization products since 2009. 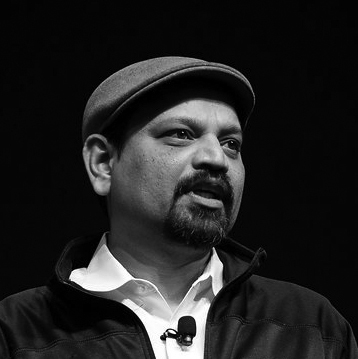 His responsibility includes TESLA HPC and Hyperscale Datacenter servers, DGX AI Supercomputers, QUADRO graphics workstations, and CUDA, OpenACC, Deep Learning, and GRID virtualization software solutions. His objective is to exponentially grow NVIDIA’s enterprise revenues by focusing business development on lighthouse customers, expanding geographic sales coverage of large enterprises, strengthening partnerships with start-ups and application providers, and leveraging go-to-market partnerships with OEMs, CSPs, solution resellers and integrators in manufacturing, oil & gas, financial services, digital media, healthcare, government, and education verticals. Under his leadership, NVIDIA’s Enterprise revenue has grown to over $1.6 billion in FY17. Prior to NVIDIA, Shanker was a member of the executive leadership team at Callidus Cloud between 2005‐08. During this period company revenues doubled to over $100m. Prior to Callidus, Shanker held various senior executive positions at Sun Microsystems between 19962005. As Vice President and General Manager, he doubled Sun’s revenue in UK between 1998 and 2001 to over $1.3bn. At Sun, he also set up a new business, the Global Datacenter Solution Practice. Prior to Sun, Shanker held various sales, marketing, and general management positions at IBM (Europe), and ICL/Fujitsu and other companies in UK and India. Shanker holds an M.B.A. (Gold Medal 1st rank) from IIM Calcutta and a M.S. in Mathematics and Computing from IIT Delhi. 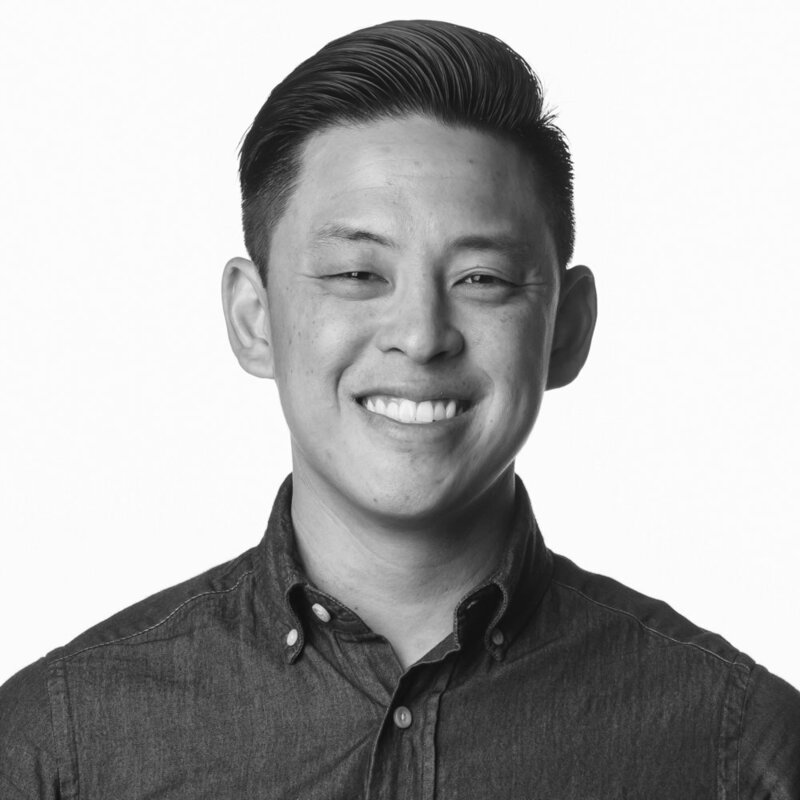 Roy Chua is co-Founder and Chief Product Officer at SDxCentral, a leading B2B technology media company focused on providing independent, trusted, news coverage and cutting-edge research on software-defined infrastructure. Roy also leads the research and analyst team at SDxCentral which focuses on some of the major trends in the software-defined space including SDN, NFV, IoT, MEC/Edge, 5G and AI/Machine Learning. Roy has 20+ years of experience in enterprise SaaS, cloud computing, networking and security, and has co-founded companies in the networking, security and identity management space. In addition, Roy has held executive roles at early software-defined infrastructure companies, and enterprise SaaS companies. Mr. David C. King is the CEO of FogHorn Systems, the leader in edge intelligence software for Industrial IoT. Prior to joining FogHorn, Mr. King co-founded AirTight Networks (now Mojo Networks), a technology leader in secure cloud-managed Wi-Fi, where he served as Chairman and Chief Executive Officer from 2004-2015, leading the company through four successful rounds of venture capital funding. Prior to AirTight, Mr. King served as Chairman, President and Chief Executive Officer of Proxim, a pioneer in WLANs and the first publicly traded Wi-Fi company, from 1993-2002. Mr. King led Proxim through a successful IPO in December 1993 and 30x revenue growth as a public company during his tenure as CEO. Before Proxim, Mr. King served as Vice President of Marketing and Customer Service for Vitalink Communications, an early leader in wide area networking from December 1990 to November 1992. Prior to Vitalink, Mr. King was a senior manager and a practice leader in both the high technology and healthcare practices of McKinsey & Company from 1985 to 1990. In addition to his board positions at AirTight and Proxim, Mr. King served on the boards of Netopia, Inc., Cayman Systems and Mobilestar Inc., all pioneering companies in the broadband access and networking industries. Mr. King holds an A.B. in Economics, as well as M.B.A. and J.D. degrees, all from Harvard University. Miro spent over a decade in telecommunications as a wireless engineer, LTE subject matter expert, and technical advisor for some of the largest networks like Verizon and AT&T. After launching the world’s first LTE networks, Miro exposed the vastly inefficient and outdated processes used to manage and operate wireless networks. Passionate about creating transformational change in how we operate networks, he resigned from Ericsson and founded 3TEN8; where he and his team have developed the ability to harness the power of AI to automate network operations and predict and prevent outages. Soma is the Global Head of Industry Development for NVIDIA’s AI and Accelerated Computing initiatives in Telecoms sector. Soma is a successful serial technoprenuer with more than 20 years in software and Telecoms. Soma holds multiples patents in data science and wireless communications with a strong track record of disruptive innovation. He has incubated and launched multiple products globally for large corporations, mentored early stage start-ups and Stanford incubation program (iFarm) and advised start-ups in Silicon Valley. Soma is an original thinker with the full product-lifecycle experience. He has led strategy, commercial management, product management and Innovation Incubation. He has worked across Americas, Asia and Europe, traveled to more than 50 countries and speaks 4 languages, giving him a truly global perspective. Soma has a B.E. in Electrical Engineering (Telecommunications), Diploma in Psychology and Executive education from Thunderbird University. Avid supporter of gender and cultural diversity at workplace. Alex is a graduate of The University of Chicago Booth's MBA program - Class of 2014. Prior to starting his MBA studies at Booth in 2012, he was a software engineer at Google in the San Francisco Bay Area for five years, during which time he completed the CFA charter holder program. After graduating with his MBA, he worked in New York City as a trusted advisor to C-level executives of large wealth and asset management firms. His advisory expertise focuses on growth strategies, acquisitions, and product development. Alex is also a supporter of the startup ecosystem and actively mentors founders at Singularity University. Ariel is a Partner at Scale Venture Partners focused on investments in the cloud and security industries. He currently sits on the board of directors at Agari, CloudHealth Technologies, Expel, and Threat Stack. Patrick Heim is an Operating Partner and Chief Information Security Officer at ClearSky Ventures. Mr. Heim is a senior security executive with over two decades of experience spanning Fortune 500 enterprises, cloud providers as well as early stage security technology companies. Prior to joining the Fund, Mr. Heim was Head of Trust and Security at Dropbox. He also served as Senior Vice President and Chief Trust Officer at Salesforce.com. Patrick has also held Chief Information Security Officer roles at Kaiser Permanente and McKesson Corporation. In the startup world, he was Vice President and Chief Technology Officer at eNetSecure (a subsidiary of Applied Signal Technologies / Raytheon). Mr. Heim also has previously held senior positions at nCircle and Ernst & Young. Patrick holds a B.S. in Marketing from Indiana University as well as an MBA in International Business and Finance from the University of South Carolina. In addition to advising a number of startup companies, Mr. Heim currently serves as a board director for Preempt Security, Solebit Labs, BigID and Ticto. Gene Chien has always been around startups. Gene was first introduced to the Silicon Valley as an analyst for a local angel investment organization focused on early stage technology investments. After viewing entreprenuership through the lens of an investor he joined multiple startups, leading strategic partnerships and business operations. Gene Chien is a proud graduate of UC Berkeley. Go Bears! As the lead for Orange Fab, Guillaume Payan oversees all activities related to the identification, growth and success of the Orange Fab program in the US. Guillaume is in charge of identifying investment and business opportunities in the media and entertainment spaces and manages Orange Silicon Valley’s presence in Los Angeles. Guillaume holds a Master’s degree in Telecommunication Engineering from National Institute of Applied Sciences in Lyon, France and a Master’s in strategy and management of international businesses from ESSEC Business School in Paris, France. Denis is co-founder and CEO of Cathay Innovation. He is also a managing partner of Cathay Capital Private Equity. Prior to Cathay, he was at Iris Capital where he managed the international activities of the Orange/Publicis fund. He has also been the Head of Corporate Venture at Orange, and a Managing Director at Innovacom. Julien-David joined the team in 2013. He is mainly responsible for early stage investments, primarily in France, with a key interest in cloud and mobile technologies, e-commerce platforms, enterprise software and Internet of Things. He’s currently supporting companies in France and Germany. Prior to joining the team, Julien-David launched and grew the European activities of Apperian, a US start-up that develops and markets a cloud-based mobile application management platform. Julien-David is a graduate from Ecole Polytechnique in Paris and Telecom ParisTech (France). Keyvan Mohajer co-founded SoundHound Inc. in 2005 and serves as its Chief Executive Officer and President. Keyvan leads the company's management, corporate strategy and operations. He is also involved in SoundHound’s technology development. Keyvan has a master’s and Ph.D. in electrical engineering from Stanford University. Brian Warmoth produces reports and digital media products as Content Lead at Orange Silicon Valley. Prior to working for Orange Silicon Valley, he worked for American City Business Journals as Director of Special Editorial Projects for its tech-focused Streetwise Media websites and events. He has more than a decade of experience as an editor, journalist, and analyst covering technology, business, and venture capital trends in various roles for media outlets including AOL News, Industry Dive, and MTV News. His work has been cited in publications from The Atlantic, Bloomberg Press, Wired, and elsewhere. Gregory M. Kurtzer is the CEO and founder of SyLabs, Inc. which is the company leading the open source project Singularity. Previously, Greg spent nearly 20 years as the HPC Systems Architect for Lawrence Berkeley National Laboratory, where Singularity was conceived and is well known throughout the industry for creating various open source projects such as the Warewulf cluster management toolkit, CentOS Linux, Perceus, and most recently, the container system Singularity. Amit Seth is an Executive & Entrepreneur based in Silicon Valley involved in the AI and Big Data space for over 20 years, and a member of the Board of Directors or Advisors of various startups, incubators and a VC firm at Silicon Valley. He recently served as the President of Affinity Solutions, an established company in the AI space that betters Marketing results for Financial Institutions and Marketers, where he led the creation of an extremely successful new business unit and was subsequently promoted to President. Amit was EVP of Global Media Products at Nielsen where he led the gestation, launch and growth of extremely successful cross-platform advertising and precision marketing products in the marketing technology space, which now account for a sizable portion of Nielsen’s annual revenues of around US $6 Billion, apart from his impact on digitally enabling all legacy products at Nielsen. Amit emerged as a pioneer in the advertising industry by launching solutions globally to power ‘real’ measurement of marketing spend. 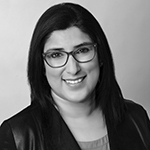 Amit has also served in product management and business development executive leadership roles centered around AI technologies at Yahoo!, Good Technologies (acquired by Blackberry), Microsoft and IBM. At Yahoo!, Amit pioneered and architected content personalization / recommendations, and advertising optimization across all of Yahoo! 's assets. The initiatives he started at Yahoo! are became the cornerstone of the new strategy for the company. Additionally, Amit has 12 patents applied for in his name and also chairs a global forum on data mining that he founded. An entrepreneur bred in the Silicon Valley, he has been the founder and CEO of a successful behavioral data platform and targeting company, which he sold and is now a part of Blackberry. Dr. Catherine Havasi is Chief Strategy Officer and co-founder of Luminoso, an AI-based natural language understanding company in Cambridge, MA. Luminoso's solutions are based upon nearly a decade of her research at the MIT Media Lab on how natural language processing and machine learning could be applied to improve text analytics. Catherine also directs the Open Mind Common Sense Project, one of the largest common sense knowledge bases in the world, which she co-founded alongside Marvin Minsky and Push Singh in 1999. Jennifer Kloke is the VP of Product Innovation at Ayasdi and has been with the company since its inception. Throughout Jennifer's tenure at Ayasdi, she has led the efforts to automate and expand the insights and impacts possible with data. She has served as the lead for the Ayasdi data science efforts for government services as well as the algorithmic side of the engineering team. Jennifer earned her Ph.D. in Mathematics from Stanford University where she was advised by Ayasdi Co-Founder, Dr. Gunnar Carlsson and published her dissertation on "Topological De-Noising: Strengthening the Topological Signal." Jennifer received her undergraduate degree in mathematics from Texas A&M University. She is the author on several patents and has published in the Journal of Differential Geometry. Jennifer is married with 3 young children, and when not solving problems, can be found quilting and gardening. Mark Gorenberg has 26 years of venture capital experience, funding and serving on the boards of numerous successful startups including Omniture (IPO, subsequently acquired by Adobe), AdForce (IPO, subsequently acquired by CMGI), NetDynamics (acquired by Sun Microsystems), Scopus Technologies (IPO, subsequently acquired by Siebel) and Crowdfactory (acquired by Marketo). He is currently a Founder and Managing Director of Zetta Venture Partners, the first early stage fund focused only on the intelligent enterprise. Prior to his career in venture capital Mark served as a software executive, entrepreneur and a member of the first SparcStation team at Sun Microsystems. Karpagam Narayanan is a co-founder of eKryp, a Prescriptive Service application. eKryp provides AI predictions and prescriptive actions for aftermarket Service Operations and is delivered as SaaS. Manufacturers and Service Providers can reduce service costs by over 30%, and parts inventory by 10% by using an intelligence layer to automate actions in Enterprise Service. Prior to eKryp, Karpagam is a co-founder and President of Paloras Corporation, an install base analytics company. The San Francisco Business Times recognized Paloras as a Top 100 software company (by revenue) in 2014 and 2013. She is a frequent speaker in several AI, IOT and Entrepreneurship conferences. Karpagam believes in AI being inclusive of people with various attitudes and aptitudes. She is now a board member of TiE Silicon Valley, an organization that focuses on advising and mentoring technology startups. She has been a leader, mentor and volunteer for Girl Scouts for 14 years, mentor in the Maker Faire, Bay Area Science Festival, FIRST robotics, and Western Regional Robotics programs in the Bay area. Navrina Singh is Principal Product Lead in Microsoft Cloud & AI, where she is focused on conversational AI for Business Application Group. Previously Navrina was the Director Business Development for Artificial Intelligence, where she was responsible for business development, strategy and partnerships to forge new businesses for Microsoft leveraging Artificial Intelligence technologies. Prior to joining Microsoft in 2016, Navrina spent 12 years at Qualcomm Incorporated, where she held multiple roles across engineering, strategy and product management. At Qualcomm, Navrina was also the head of Qualcomm Innovation responsible for the vision and execution of the technology incubator program focused on building emerging technologies and delivering strategic partnerships in Artificial Intelligence, Internet of Things and Mobile. Navrina is a Young Global Leader with World Economic Forum (WEF), for her work in disruptive technologies, catalyzing startup ecosystems and a keen focus on diversity and Inclusion. Navrina holds a MS in Electrical Engineering from the University of Wisconsin-Madison, an MBA from the University of Southern California and a BS in Electronics & Telecommunications from College of Engineering Pune, India. Paco Nathan is known as a "player/coach" AI practitioner who's led data teams building ML apps at scale for several years. He's a program co-chair for JupyterCon, host for Exec Briefings at The AI Conf and Strata Data Conference, and previously was the developer evangelist for Apache Spark. With expertise is in machine learning, NLP, distributed systems, and cloud computing, Paco has 35+ years of tech industry experience, ranging from Bell Labs to early-stage startups. He's the author of "Just Enough Math", "Building Data Science Teams", "Enterprise Data Workflows with Cascading", and "Probabilistic Data Structures in Python". Paco is an advisor for Amplify Partners (SF), Deep Learning Analytics (DC), and Recogn.ai (Madrid), and was cited in 2015 as one of the top 30 people in big data and analytics by Innovation Enterprise. Sri is known for envisioning killer apps in fast evolving spaces and assembling stellar teams towards productizing that vision. 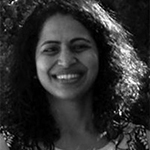 A regular speaker in the Big Data, NoSQL and Java circuit, Sri leaves a trail @srisatish. 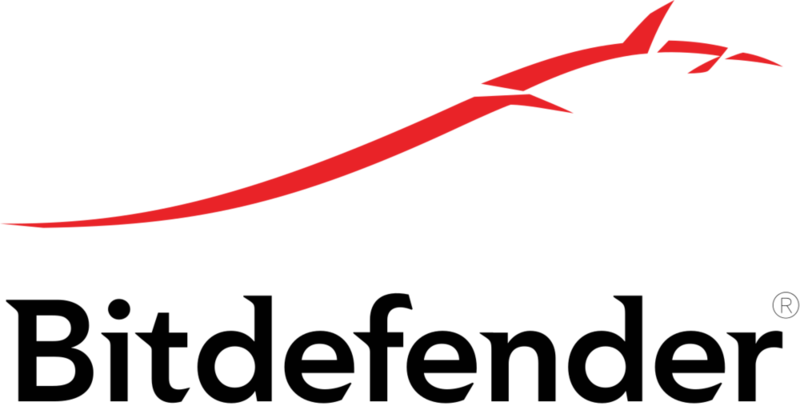 Bitdefender is a global security technology company that provides cutting edge end-to-end cyber security solutions and advanced threat protection to more than 500 million users in more than 150 countries. Since 2001, Bitdefender has consistently produced award-winning business and consumer security technology and is a provider of choice in both hybrid infrastructure security and endpoint protection. Secure single view into computing resources, from idle server in remote data center; unused cloud instances; and access to the millions of core hours in major supercomputing centers, converting x86, GPU, Power PC and ARM into a cloud node. Using machine learning and analytics, RStor Multicloud Platform characterize attributes of cloud providers and customers own platforms for automated workload placement based on customer-specified governance criteria, with its first multicloud app store with popular open source apps that any Singularity or Docker container can use, including TensorFlow, OpenFOAM, etc. Wickr, headquartered in San Francisco, is a secure communications company with a mission to transform the way companies and organizations manage corporate data retention policies and protect critical communications. Emoshape Inc. is an A.I. chip company dedicated to providing a technology that teaches intelligent objects how to interact with humans to yield a favorable, positive result. Emoshape’s emotion synthesis microchip (EPU II) is the industry’s first emotion chip to deliver high-performance machine emotion awareness for AI, Robots, IoT. Spectrum Effect’s spectrum analytics solution, Spectrum-NET, automatically detects, characterizes, locates and assesses the impact of external and unintended internal RF interference on UMTS and LTE networks. The Spectrum-NET advanced Machine-Learning framework and state of the art algorithms address an extensive set of RF interference types.